Kathleen from Google announced in the Google AdWords Help forum that agencies can now sign up for consolidated billing within AdWords. 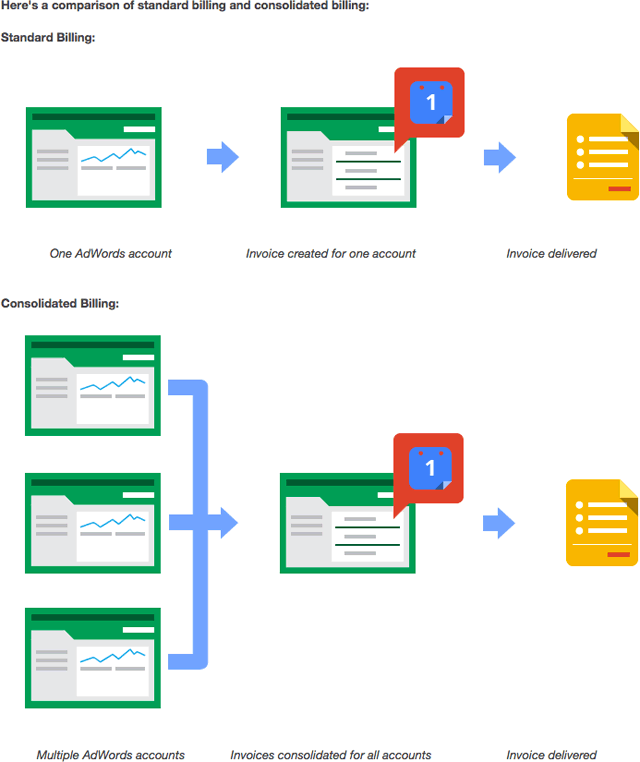 AdWords consolidated billing allows you to combine multiple account invoices into one single invoice. Kathleen said this will eventually replace MDOs. An MDO is a Manager Defined Order (MDO): An MDO, previously referred to as a 'standing order,' is the order that is generated and processed for MCC users who wants to control their managed accounts' budgets using MDS. An MDO can only be linked to managed accounts that use the same currency and that reside in the same MCC account. A separate monthly invoice will be created for each of your MDOs. Consolidated billing is a popular choice for agencies, resellers, and large advertisers who work with multiple AdWords accounts and want to streamline their billing by receiving just one monthly invoice. To use consolidated billing you'll need to have, or create, a My Client Center (MCC) account. Kathleen said that accounts are migrating to this new format now and will continue to do so until the end of the year. How will you know when you are migrated? Google will send you a notification when this happens. For more on how this works, see this help document and the Google AdWords Help thread.